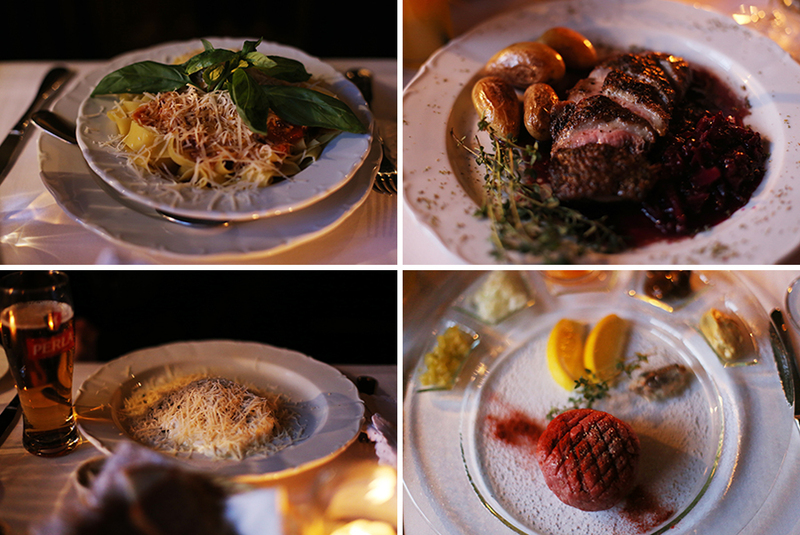 How to go from The Wolf of Warsaw to The Pig of Poland in four delicious ways. I'll let you in on a lil' fantasy of mine - namely my unfulfilled childhood desire for a treehouse club where I'd hold court in the sky with the ultimate dinner party and dream guests selected from my favourite cartoons (yes, I had no human friends). Fast forward a couple decades later and I have a few more contacts in my address book but sadly, no treehouse to lord over my guests from the head of a sprawling granite dining table so polished I can see my spinach-toothed reflection in. 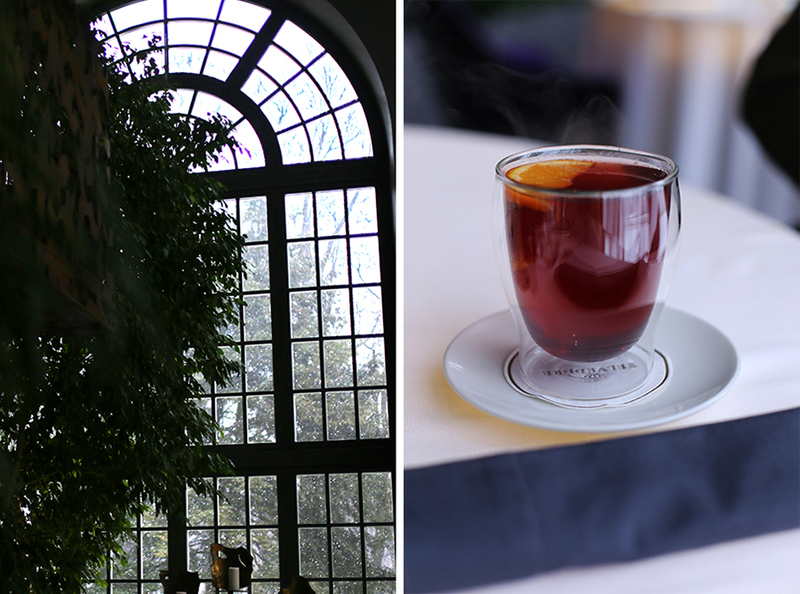 The next best thing, I imagine, is lunch at the New Orangery of the Warsaw Royal Bath Gardens. 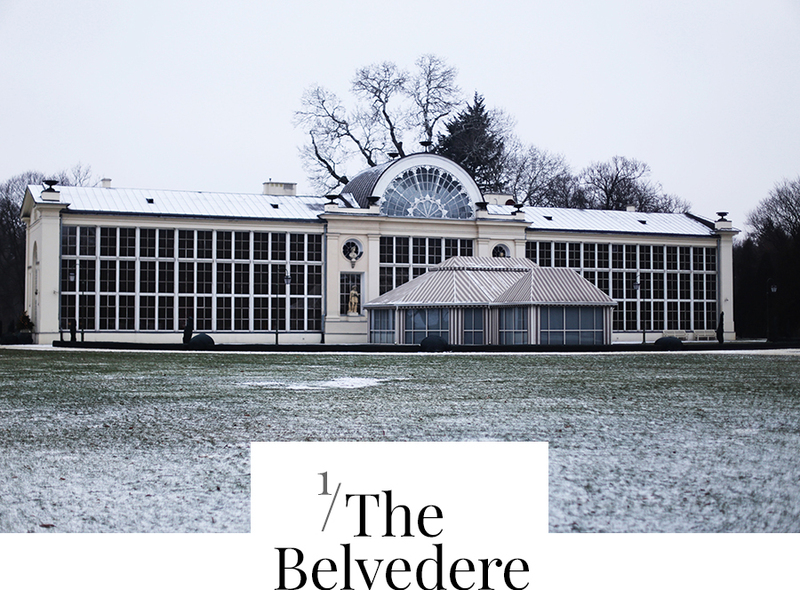 The Belvedere is a 'dream home' wish come true; century-old history, check; patented interior design, check; a regal and verdant location in the Royal Łazienki Park, check; seasonal, award-winning, Michelin-acknowledged Polish cuisine with modern interpretations, check check check. 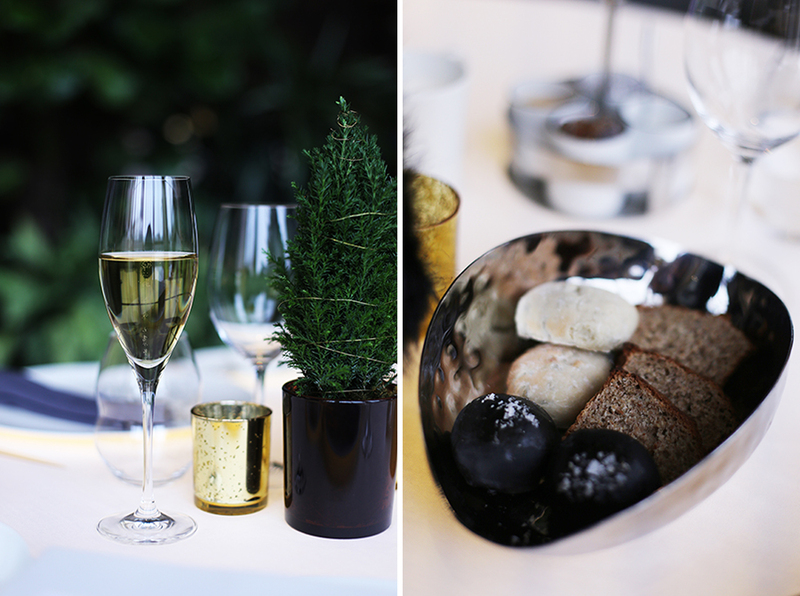 The sprinkling of fairy-dust on this magical scene was the snowfall outside punctuated with the occasional clink of glasses as Henry and I warmed ourselves up with oh, I don't know, the food, the champagne, or the deliciously toasty central heating. All three = the perfect recipe for romance in my books. 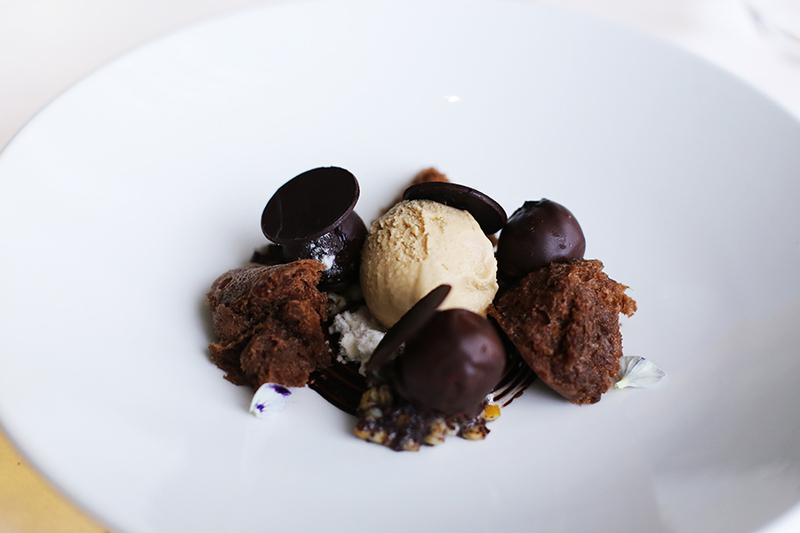 To share, a pudding of gingerbread & chocolate mousse with wheat, buckwheat ice cream and cognac jelly. 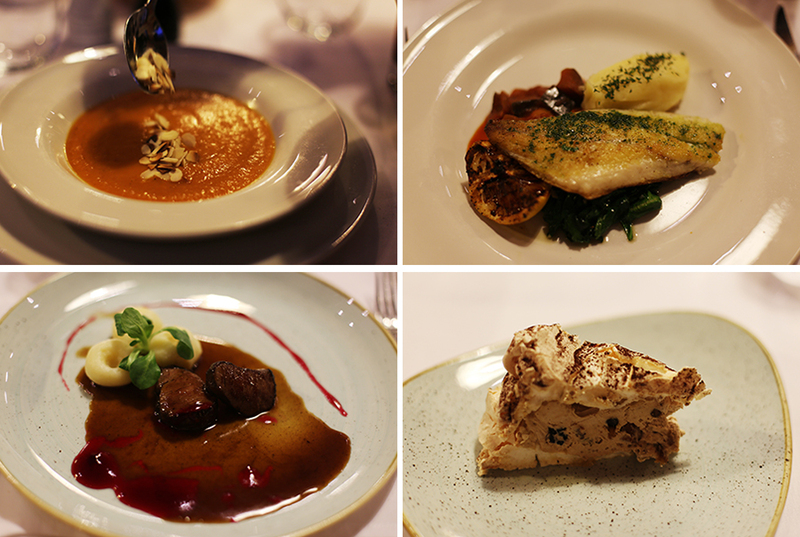 A meal for two plus drinks was a modest PLN400 (£68), which is practically a bargain (by London standards anyway) considering The Belvedere's location and its gastronomical credentials. The service was a tad hit-and-miss; on our first night Henry and I went for dinner and enjoyed exemplary care but our server at lunch on our last day in Warsaw seemed a tad brusque. 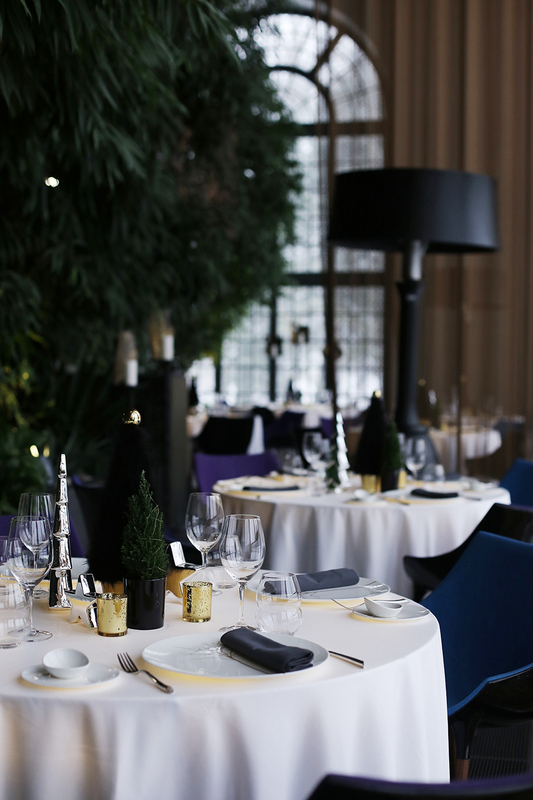 That said, the refined yet surprising food and the gorgeous settings was what we came for, and as far as making an impression goes you could certainly do far worse than The Belvedere. (Ignore Google Maps, she's a liar. Just enter Royal Łazienki Park from Jurija Gagarina. And no wonder, with a legacy tracing back to the 17th century. 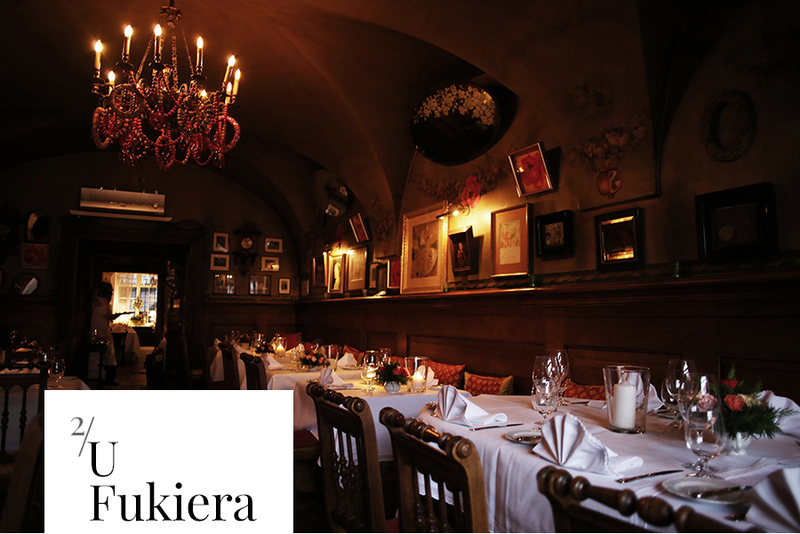 Royals, aristocrats, and artists alike have been enchanted by the uncompromising traditional Polish fare of U Fukiera. 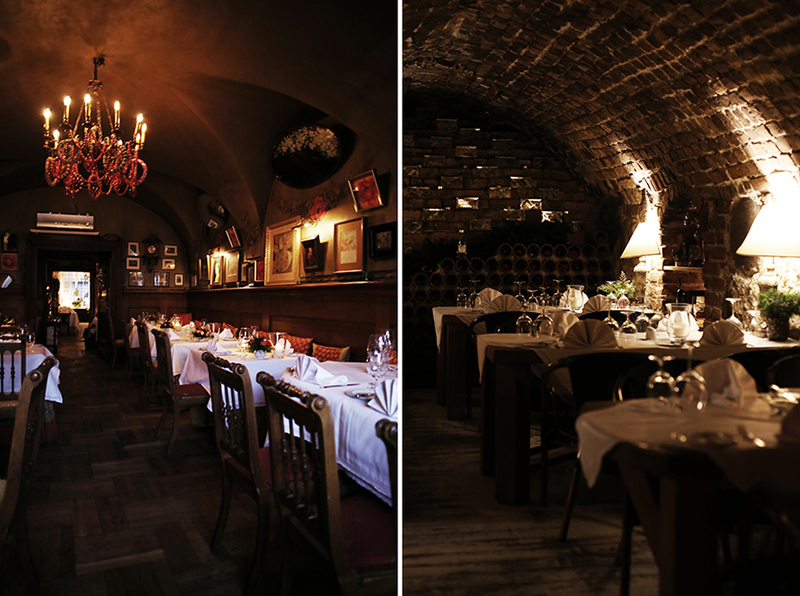 The decor is definitely cozy, rustic, and verging on twee - bric n' brac seem to fill every nook and cranny of the vaulted rooms - but the ambience is always tasteful (and unless you're dead from the waist down, romantic). 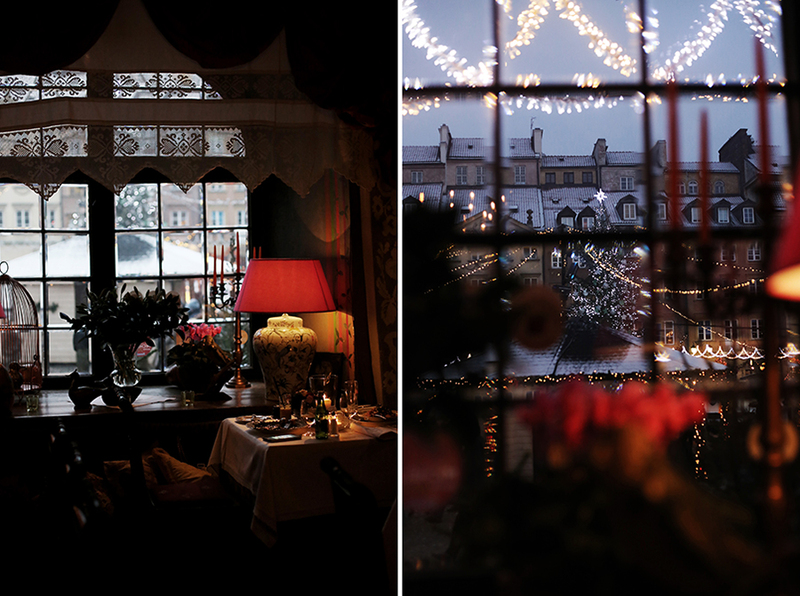 Henry and I were given a table with a view: from our window we gazed at the Christmas lights of Warsaw's Old Town. With every flicker of the candles I understood why so many have fallen so hard in love with this Varsovian gem. (It's in the Main Square of Old Town. The problem with being the most striking monument in the city - I'm looking at you, Palace of Culture And Science - is that there's no way to appreciate the view of and view from your elevated self (unless of course you're facing a giant mirror, budgie-style). Yes, it's lonely at the top...but it doesn't have to be. How very thoughtful then, of The Warsaw Marriott to bless the city with a vantage point to enjoy this divisive Stalinist symbol whilst sipping on a smorgasbard of aptly named Varsovian cocktails and sophisticated snacks that wouldn't look out of place in a Ibiza beach club (with the prices to match). 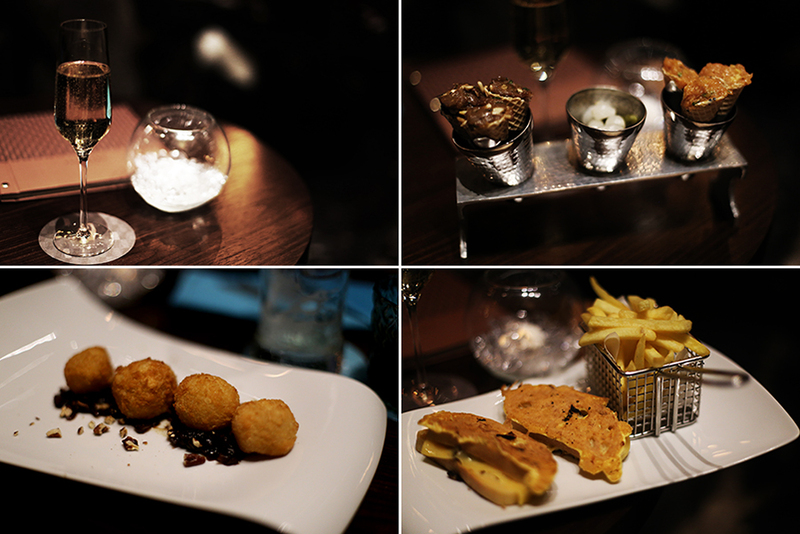 After-dinner pleasures; champagne, steak and tuna tartare in cones, fancy Camembert balls; and duck, apple, and cheese grilled sandwiches. Not pictured, the several chocolate fondue pots I demolished. 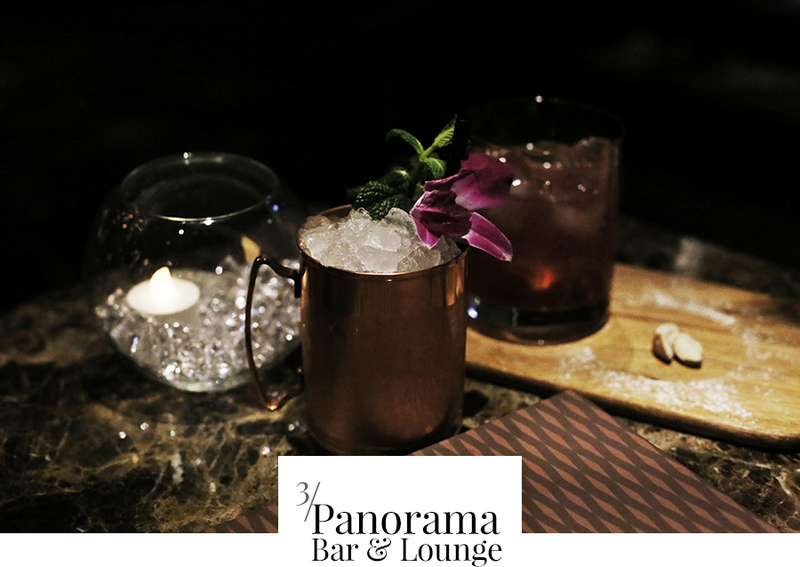 Seating is hardly ample - Panorama Bar & Lounge is after an intimate and exclusive vibe, with window-side nooks hard to come by. 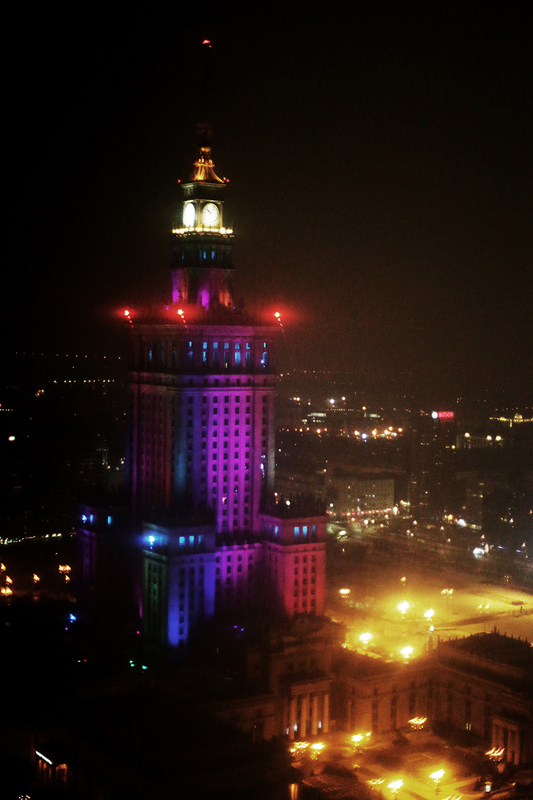 Grab one if you can - the view of The Palace of Culture and Science in its technicolour evening dreamcoat is worth the wait alone. 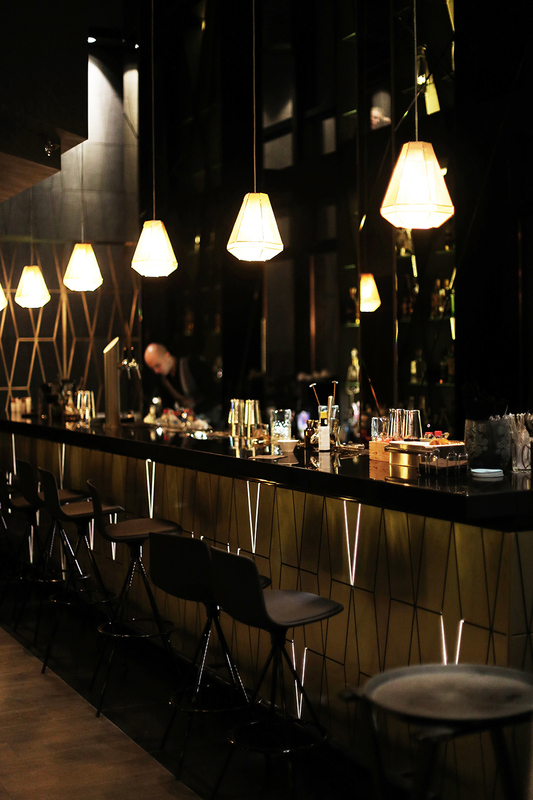 A little off the beaten track is Soho Factory, the new upstart on the Varsovian cultural scene. Think Hackney Wick sans poseurs but with creatives actually creating ie. work, play, display (which is more than I can say for myself). This arty district is home to the famous Neon Museum and of course, Warszawa Wschodnia by Mateusz Gessler. 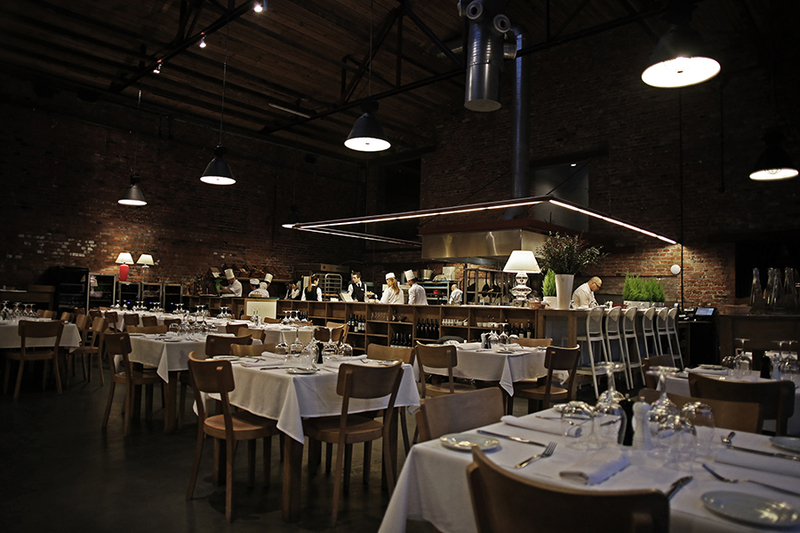 This is a lofty ambition at its most literal - this sprawling warehouse conversion lends itself to a 24/7 restaurant with not one, but two kitchens where you can dine at while watching the chefs deftly and skilfully prepare Old Polish-French fusion fare. There are also culinary workshops and self-cooking sessions, but why mess with a good thing when the food is prepared to standards unattainable by all but the most skilled? 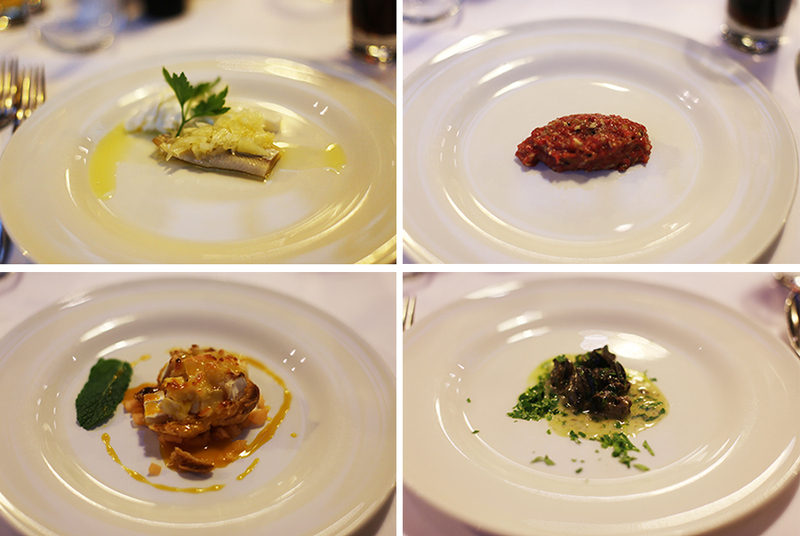 I should know, I had the eight-course tasting menu. 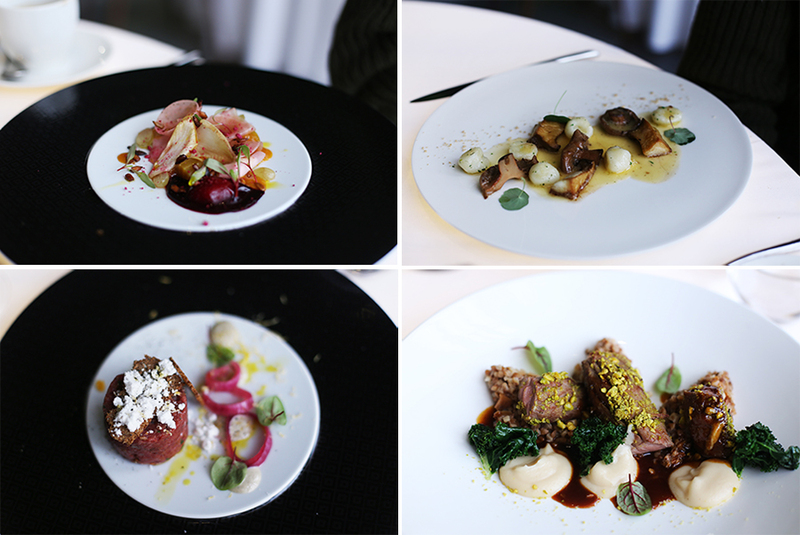 The eight-course tasting menu is well worth the ensuing food coma (my personal favourites were the beef tartar, goat's cheese puff pastry, and deer medallions) and, get this, clocks in at PLN 150. That's £26. 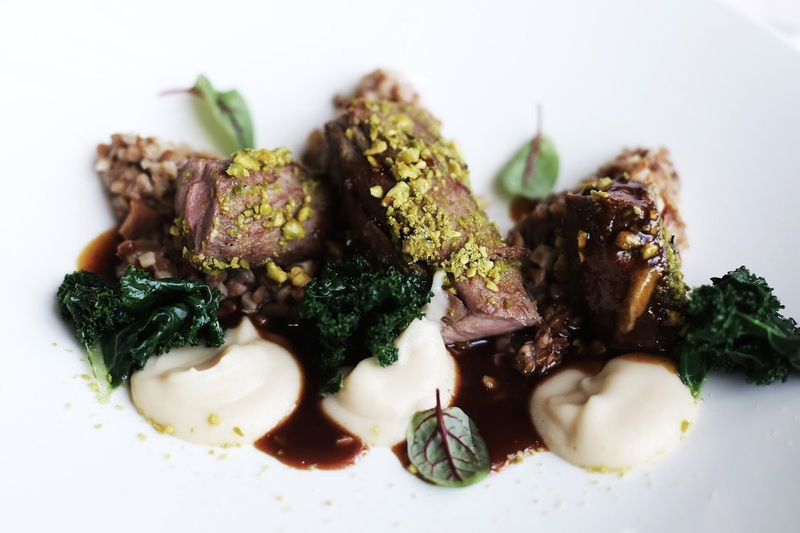 An eight-course tasting menu for under £30. Yes, you may pick your jaws off the floor, fill in those immigration papers, and move to Warsaw. Race you to it! 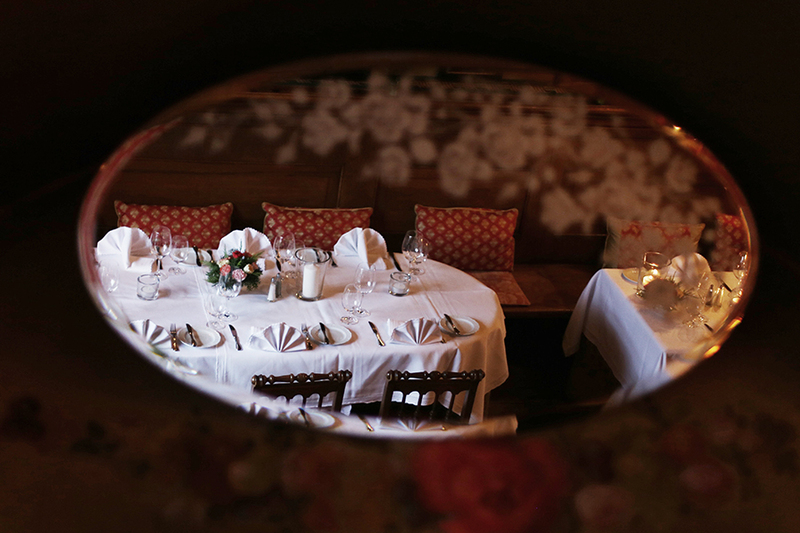 Which of these four restaurants do you like best? 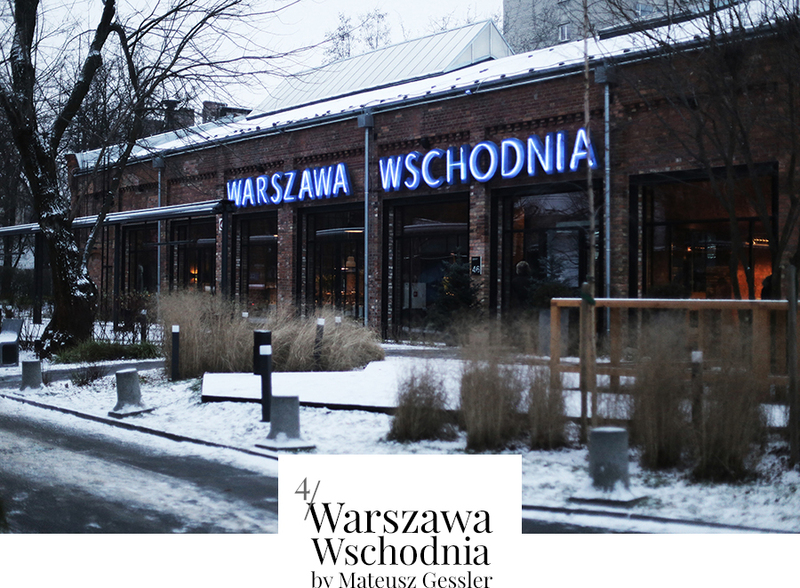 or the hip fusion-style of Warszawa Wschodnia? What do you think of this post's layout? I'm moving toward a 'magazine style' as opposed to an 'online diary' - do you find it easier to read?